The Barefoot Power initiative affordable renewable energy and efficient lighting to 5 million people by 2013 and 10 million people by 2015 and help eradicate energy poverty. Barefoot Power is a global, social for-profit enterprise that manufactures and distributes solar phone charging, lighting products and business development services to people at the base of the global economic pyramid. Barefoot Power has impacted the lives of 1 million people in over 20 countries by supplying solar powered lights, home lighting systems, and phone charging solutions. Through a diverse distribution strategy including global importers to micro franchises, Barefoot Power reaches the most remote communities. Over 1.5 billion people lack access to electricity and Barefoot Power is on a mission, to bring affordable renewable energy and efficient lighting to 5 million people by 2013 and 10 million people by 2015 and help eradicate energy poverty. How will they do that? By bringing electricity to millions of people that currently use kerosene lighting and walk far for phone and battery charging, they plan on reversing the traditional process of rural electrification while reducing the global carbon footprint. Barefoot Power is a socially driven business with the primary mission of supplying light and energy systems to rural communities in emerging countries. Founded in 2005, Barefoot Power focuses on delivery of clean energy services to the poor in the form of solar power electricity. One of the earliest developers of affordable LED lamps and solar panels, the organization aims to bring the worlds of micro-finance and energy together to bring lighting to rural communities in Africa, Asia-Pacific and more recently, the Americas, reaching out to up to forty countries worldwide. Barefoot Power is focused on scaling up production and replicating their successful LED lighting model in more villages that currently lack access to electricity. The organization is committed to helping the poorest two billion people find a clean, efficient, practical and environmentally sustainable pathway to energy. To be a social for-profit enterprise that helps poor people in developing countries to access affordable renewable energy and efficient lighting systems. The vision is to create new markets and bring high-quality affordable light to 10 million people by 2015. Barefoot Power Generation 2.5 products are affordable, safe and healthy alternatives to lighting and phone charging. Designed in Australia and easy to use, Generation 2.5 has improved battery technology and LED technology. Keeping in mind that developing communities have access to limited resources, Barefoot Power has been able to provide safe, brighter light, and longer lasting batteries at affordable prices. For example, individuals can pay off the Firefly Mobile in as little as 3 months and can begin to save for other necessities. The Firefly series has been enhanced with lithium iron phosphate batteries that last for up to 1000 cycles depending on use. The Firefly Family provides households with two mobile lighting points in one kit. More light than the Firefly Mobile for just a bit more cost. The PowaPack series includes longer lasting AGM sealed lead acid batteries that last up to 400 cycles – twice as long as our previous kits. The PowaPack 5W Bright includes the new 3W LED tube light which gives customers more light for the same price. Longer lasting SMD LEDs are included in all lamps and double the life of the LEDs from our previous generation. The Firefly desk lamp with 10 SMD LEDs creates 55 lumens of light! The LED tube light shines with over 170 lumens of light! Barefoot Power is introducing the Firefly Fast Phone Charge kit to charge mobile phones. This mobile phone charging solution enables customers to charge 3 to 6 phones in a day depending on the mobile phone battery and the intensity of the sun. The Firefly Fast Phone Charge helps generate extra income for businesses or can be used to start a micro phone charging business. All products are designed and developed to meet the UN Clean Development Mechanism standards. Carbon revenue will contribute to the affordability and improved quality and performance of Barefoot Power products. Our product range has been designed with the three concepts of affordability, quality, and usability. Affordability is key as our end customers gauge prices based on the cost of kerosene as their measurement for affordability. A rigorous quality control process is in place to ensure that end customers have a long term technology solution. Barefoot Power Ltd offers a manufactures warranty on all products. In addition, product usability is important as a Barefoot Power light may be the first piece of technology that a family has besides a mobile phone. These three key design concepts have led Barefoot Power to be a four-time winner of the World Bank's Lighting Africa awards in 2010. To meet the high market demand for micro-solar and to have competitive and affordable pricing, we have developed strategic partnerships with manufacturers which enable us to mass manufacture our products. The ability to mass manufacture guarantees that our end-customers have access to a full micro-solar line that is affordable, good quality and readily available. We believe that a variety of distribution methods are needed to reach the grassroots markets. To achieve grassroots distribution, we partner with non-profit organizations, community groups, micro-entrepreneurs, faith-based organizations, microfinance organizations, governments and local business people to distribute products. Through these organizations and networks, we create employment and income generating opportunities for women and youth groups. To support these partnerships, we have set up subsidiaries in Uganda, Kenya, India and Hong Kong. d.o.b foundation’s mission is to support innovative private sector initiatives that contribute to improvements in the quality of lives of disadvantaged people and communities in Africa. d.o.b foundation focuses on initiatives that generate income earning opportunities or provide affordable products and services for low income people (those belonging to the poorest quartile of the countries’ population). d.o.b foundation finances initiatives that are in the early stage and expansion phase and that do not (yet) have access to commercial financial resources. Through its active participation in the financed initiatives, d.o.b foundation provides advisory services and access to its network to support the realisation of its mission. provide affordable products and services to at least 10,000 low income people. replicable, so that more low income people benefit from the successful initiatives. Initiatives should preferably have a positive environmental return. This means that natural resources are used in a responsible manner and that the initiative has a positive contribution to energy efficiency, biodiversity, waste management, water resources, or another relevant environmental aspect. The financial return should at least ensure the long term sustainability of the initiative. stand alone or off grid water and energy. The aim of d.o.b foundation is to be an active and influential shareholder, but d.o.b foundation is not in the position (being based in the Netherlands) to do management turnarounds or to provide regular hands-on management support. d.o.b foundation invests in entrepreneurs and management teams who are the first responsible for running the business and making it successful, as they are the most familiar with local conditions and have the market knowledge. Through a board representation, d.o.b foundation wants to contribute to the soundness of the financial and business decision making processes of the initiative and the continued focus on the social return. Ennovent is a for-profit company promoting entrepreneurs that advance innovations for sustainability at the base of the economic pyramid. It is innovation accelerator providing not only access to finance, but also helping clients to discover new ideas, develop effective business models and scale the impact of viable enterprises. Ennovent primarily achieves this goal via its social venture capital fund, the Sustainable Enterprise Fund. This fund assists entrepreneurs to achieve long-term impact with their innovations on society and the environment, by providing early stage investments in new ventures although the fund initially focuses on energy and India. Ennovent's expertise in four complementary areas enables clients such as investors, entrepreneurs, development agencies and others to successfully take the best early-stage ideas to low-income markets. Accelerate innovations from idea to market. Ennovent provides a range of complimentary services through four distinct delivery models designed to accelerate innovations at varying levels of cost and customisation. The Insitor Impact Fund finances companies that offer low-income families options for increased access to healthcare, education, affordable housing, water sanitation, and clean energy. The Fund will also invest in companies whose business models increase the earning potential of vulnerable communities. A minor percentage of the portfolio may be invested in financial institutions specialized in providing finance solutions to these sectors. A new generation of socially-driven private companies have been entering the market to serve the unmet needs of low-income communities. For most of them, access to early-stage funding is a major barrier to success as local capital markets focus on larger businesses and impact capital is primarily available to more mature companies. They finance high quality startups and early-stage social businesses with the promise of growing them to a larger scale and higher profile. They believe that long-lasting development will only come from a market-based approach that allows low-income consumers, producers, and workers to operate in a fair and inclusive marketplace. Their goal is to contribute to the development of such a marketplace, ultimately serving the unmet needs of low-income communities while promoting a responsible and sustainable economy. They focus on selecting and supporting pioneering companies whose success will spur the creation of new industries, creating a multiplier effect on our initial investment. They strive to pursue maximum returns, but are conscious that investing in fragile economies for social impact comes at a cost and risk-adjusted returns are not within reach for now. 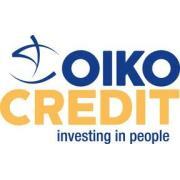 Oikocredit is one of the world’s largest sources of private funding to the microfinance sector. We also provide credit to trade cooperatives, fair trade organizations and small-to-medium enterprises (SMEs) in the developing world. We lend working capital to microfinance institutions (MFIs) all over the world. In turn, they dispense life-changing loans to the poor and disadvantaged, with a special emphasis on rural areas and women. We offer a dual return to our investors: financial and social. In addition to earning modest financial returns, investors are secure in the knowledge that their money is being used to fight poverty, promote fair trade and respect our planet’s natural resources. Creating positive social impact is the key to our mission and a driving force behind all our activities. Since 1975, Oikocredit has touched the lives of hundreds of thousands of families in over 70 different countries. To assess our impact on those lives, we rely on formal assessments of social performance, as well as case studies of individual borrowers who have turned their lives around. In all that we do, Oikocredit places a special emphasis on empowering women in the developing world. Microfinance provides an unprecedented opportunity for women to take control of their own destinies. The majority of the world’s poor are women. Restricted access to education, property and economic rights severely limit their opportunities. Women and their informal businesses are also restricted in their access to credit and financial services. Providing credit to women has a multiplier effect on society. Women who are able to generate their own income can support their families and enhance their communities – providing housing, sanitary facilities, health services, education and nutritional food. Throughout the world, women have proven to be the most reliable credit risk for microfinance lenders. Oikocredit is dedicated to advancing the ability of women to break the cycle of poverty through their own initiative. In addition to other sectors such as microfinance, Oikocredit supports fair trade organizations through a combination of medium and long term loans, credit lines, equity investments, and capacity building. The fair trade movement takes a market-based approach towards empowering local producers. Fair trade organizations promote social justice through fair payments to producers and employees, long-term trading relationships and environmentally sustainable production methods. All applicants must meet Oikocredit’s specific criteria based on internationally recognized standards. To be truly effective, environmental conservation must take into account the development needs of the community. Sustainable use means people earning a living in ways that protect and preserve the natural resources they rely on. To promote sustainable use, Oikocredit is working together with UNESCO’s Man and the Biosphere Program. The UNESCO approach recognizes 531 sites in 105 countries as “biosphere reserves”. These are living laboratories where new ways of managing nature and human activity can be tested and demonstrated. In a biosphere reserve, fully protected areas are combined with sustainable development zones. But development cannot be environmentally sustainable if it is not financially sustainable. That’s where Oikocredit comes in. With the support of UNESCO, we’re piloting a project in Latin America to provide credit and technical support for business ideas promoting sustainable use within recognized biosphere reserves. Another example is the Barefoot Power in Australia, a business that assists rural communities manage their energy resources.